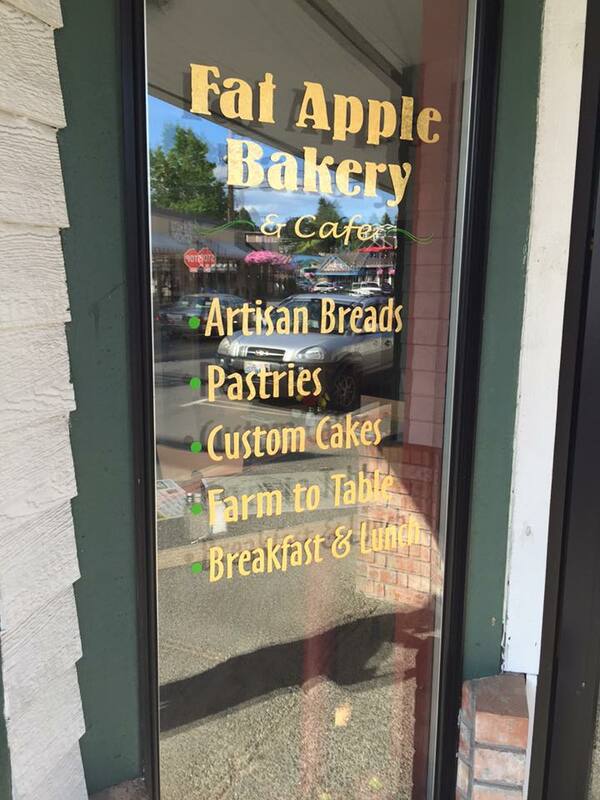 Anyone looking for a fresh-baked treat or a full “lumberjack breakfast” has a new eatery to try in Poulsbo. The Fat Apple Bakery and Café held a “very soft” opening Wednesday at 18996 Front Street, a space formerly home to Liberty Bay Bakery. Fat Apple is open for breakfast and lunch. Hours are 7 a.m. to 5 p.m. daily. Manager Karin Buchanan said the café is focused on delivering fresh food in generous portions. 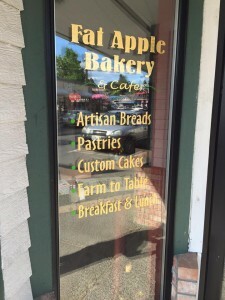 Fat Apple is a brick-and-mortar successor to Barb’s Sweets and Treats, a farmers market stand run by Barbara Wilson. Wilson leased the Front Street space earlier this year. The new bakery and café is operating on a limited menu for now, as staff get the kitchen dialed in. 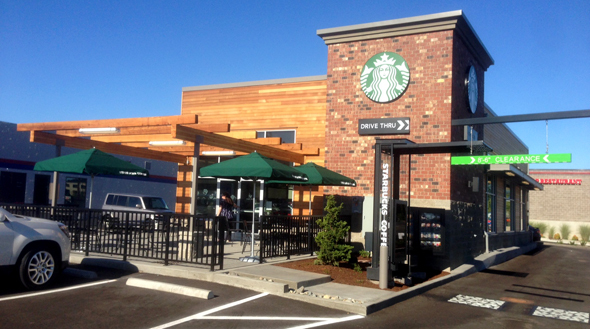 An official grand opening will likely be held in August. Check the Fat Apple page on Facebook for updates. The $20 million sale of Silverdale medical building topped the list of Kitsap commercial property sales from May and June (yep, we’re playing catch-up). The Silverdale property, home to The Doctors Clinic Salmon Medical Center, sold to a Wisconsin company in May, along with Harrison Medical Center’s Port Orchard campus. Other big ticket deals included the sale of the Pier 1 Imports property and The Reserve at Bucklin Hill apartments, both in Silverdale. All told, 25 commercial parcels sold in May for a combined $67.6 million, according to assessor’s records. June saw another 30 parcels change hands for $12.02 million. Sold by: Tim Ryan Properties LP to HP SIlverdale, LLC. 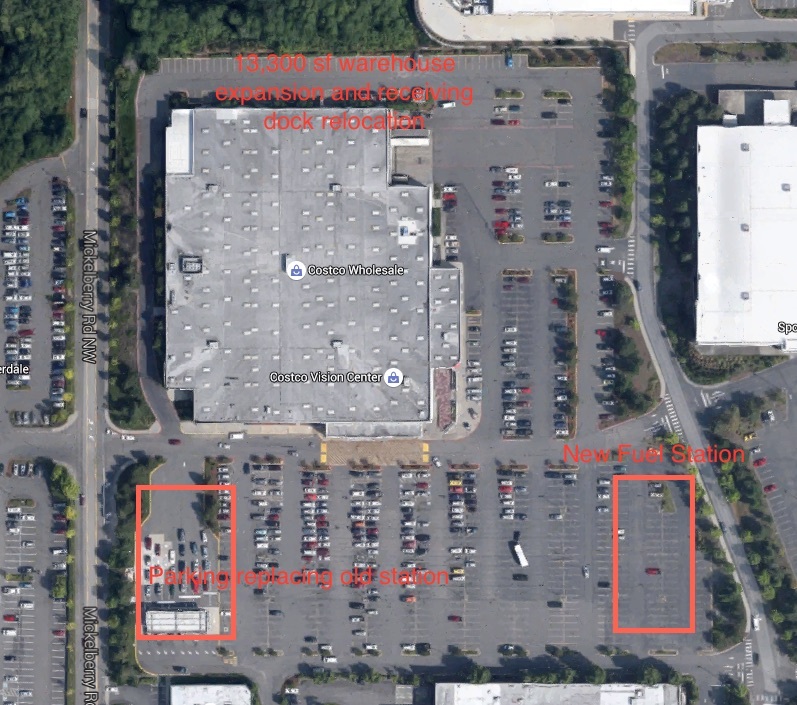 Description: A 6.4 acre property and 59,000-square-foot building at 2200 NW Myhre Road, north of Harrison Medical Center’s Silverdale campus. Notes: Tim Ryan developed the center, which is leased to The Doctors Clinic. The buyer was a subsidiary of The Hammes Company of Wisconsin. Sold by: Tim Ryan Properties LP to HP Port Orchard, LLC. Description: Two tax parcels totaling 8 acres at 450 South Kitsap Boulevard. 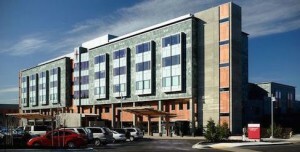 The 32,000-square-foot medical building is home to a Harrison Medical Center’s urgent care and other services. Notes: Another Tim Ryan property sold to The Hammes Company. Sold by: Emerald Crest, LLC. to Bucklin Hill Residential, LLC. Description: A 9.5-acre property with apartment complex on Mirage Lane and Sid Uhinck Drive in Silverdale. Entrepreneurs and small business owners have one more week to sign up for Kitsap Bank’s $20,000 edg3 FUND competition. The annual competition, launched in 2014, recognizes businesses that benefit their communities economically, socially and environmentally. The deadline for applications is July 31. Judges will select semifinalists in August and a public vote will help narrow the field in September. Finalists will give presentations during a live event Nov. 12 at Kitsap Conference Center in Bremerton, and the winner will be announced the same day. Last year’s competition drew about 70 entries. The winner was Pawzii, Inc., a company founded in Bremerton with offices in Seattle. Pawzii offers online pet licensing services. See the edg3 FUND competition website for more details. A painful but potentially rejuvenating process has come to an end on Poulsbo’s Viking Avenue. A Kitsap County Superior Court judge approved a motion June 26 terminating receivership for the former Courtesy Auto Group properties. All told, six parcels formerly owned by the Hern family have been sold since 2013, fetching about $4.6 million. The properties were home to a number of Courtesy Auto dealerships, forming the core of Poulsbo’s once-bustling automotive corridor. Union Bank successfully petitioned the court to appoint a receiver for the properties in 2011, seeking repayment of a $10 million loan made by Frontier Bank to the Herns in 2009. Union Bank took over the loan after Frontier failed in 2010. Description: 1.43 acres with a 16,350-square-foot showroom at 19873 Viking Ave. NW, on the southwest corner of Edvard Street and Viking. 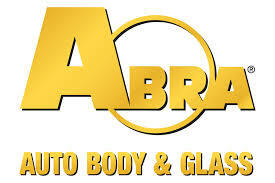 Now home to: Abra Auto Body and Glass. Description: One-third acre with a 1,600-square-foot showroom at 19568 Viking Ave., across from the Food Mart and Los Cazadores. Harrison Medical Center President David Schultz is taking on leadership of St. Anthony Hospital in Gig Harbor. Schultz will replace current St. Anthony President Kurt Schley at the end of July, according to a news release from CHI Franciscan Health, parent company of Harrison and St. Anthony. Schley is leaving to become CEO of CHI St. Alexius Health in Bismarck, North Dakota. Schultz was named president of CHI Franciscan’s Peninsula Region, which includes the Harrison campuses in Bremerton and Silverdale, as well as St. Anthony. “This will help us maximize the delivery of high quality, seamless care and improve patient access to our communities on the peninsula,” CHI Franciscan CEO Ketul Patel said in the release. Schultz joined Harrison in December, replacing former CEO and President Scott Bosch. St. Anthony (pictured above) opened in 2009. The 80-bed hospital offers 24-hour emergency care, cancer treatment, surgery and pharmacy services. The average rent for a Kitsap County apartment was more than $1,000 in the second quarter of 2015, as vacancy rates continued to plunge. 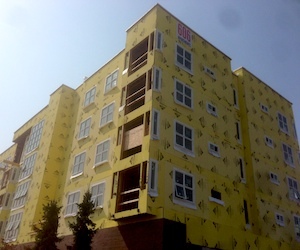 Apartment complexes in the county reported and average rent of $1,009 per unit in the months for the second quarter, according to Tom Cain of Apartment Insights Washington. Rents were 10 percent higher in the second quarter of 2015 than in the same period of 2014, driven by steep increases in Poulsbo and on Bainbridge Island. The rate of vacant apartments fell to 3 percent, giving Kitsap one of the lowest vacancy rates in the Puget Sound region. One year ago Wednesday, a shop in Bellingham sold the first bag of legal marijuana in Washington state. The sale marked a milestone for Kitsap County too: That first bag of pot was grown Bremerton. In the year that followed, Washington recreational marijuana businesses recorded more than $250 million in gross sales, generating $62 million for the state in excise taxes. Add in other state and local taxes and the total tax bill topped $70 million. Kitsap marijuana retailers, growers and processors grossed about $5.75 million, generating $1.44 million in excise tax, according to statistics made available by the Liquor Control Board. Nearly $5 million of gross revenue came from the retail side. 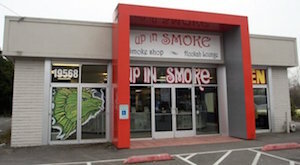 Kitsap’s busiest marijuana shop made $430,000 in sales in June alone. The county can expect much higher sales totals in the coming year. Ten Kitsap marijuana enterprises — four shops and six producer/processors — recorded sales between July 2014 and the end of June. As of this week the county had 16 licensed pot businesses, with several more in the works. Relaxed taxes could also lure more customers to recreational shops. During the first year of sales, marijuana was taxed 25 percent when sold between a producer and processor, another 25 percent when sold to the retailer, and a final 25 percent when sold to the consumer, resulting in an excise tax of up to 75 percent. A law enacted this summer will reduce the overall tax to 37 percent. And that’s not the only sweeping change ahead for the fledgling industry. At the direction of the Legislature, the state will essentially dismantle the existing medical marijuana system over the next year, and roll what’s left into the recreational system. The expected closure of medical dispensaries will reduce competition for the licensed shops and drive up recreational pot sales.